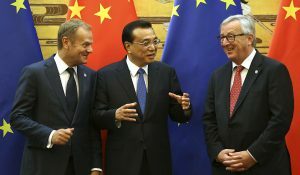 The EU’s strategic energy technologies (SET) plan was conceived in 2007 as the “technology pillar” of the bloc’s new climate and energy policy. It identified six priority technologies: wind, solar, carbon capture and storage (CCS), bio-energy, electricity networks, and nuclear fission. 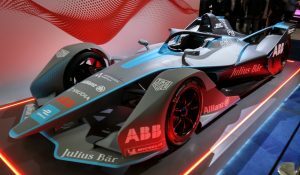 It also recognised the importance of fuel cells and hydrogen, and energy efficiency. The SET plan prioritised research in those technologies it deemed most relevant to the EU’s climate and energy objectives for 2020: a 20% cut in greenhouse gas emissions, a 20% share for renewables and a 20% improvement in energy efficiency. The European Commission led the creation of public-private partnerships in each area, which defined priorities for research and development out to 2020, focusing on “large projects of European value”. Stakeholders set out their needs in quite some detail, such as building 5-10 testing facilities for new wind turbine components and up to 30 plants for bio-energy production (both for advanced biofuels for transport and combined heat and power from biomass). Funding followed, mostly from the EU’s 7th Framework Programme for Research, (FP7; the EU’s R&D budget for 2007-13), and the research got under way. How far has Europe got? The SET plan has delivered, says the Commission. Public and private investment in the technologies it prioritised grew from €3.2bn in 2007 to €5.4bn in 2010. 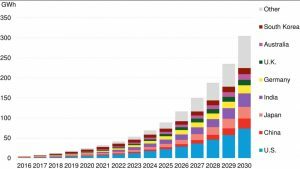 The cost of photovoltaic (PV) modules decreased by three times in two years: “The SET plan target of 1€/kWh by 2030 may be a reality by 2020,” the Commission said in May. Wind power generated 210 terawatt hours (TWh) or 7% of European electricity in 2012. And FP7 is funding nine large-scale lignocelluloses biofuel demonstration projects. But here the good news stops. It’s also true that CCS remains in the doldrums, bio-energy faces increasing questions over its climate benefits, and EU countries missed their offshore wind targets for 2012. More importantly, the EU is comfortably on track only to meeting one of its 2020 targets – the 20% cut in greenhouse gas emissions – and that in large part due to the crisis. The same crisis means many countries now look unlikely to meet their renewables targets, while the – non-binding – energy efficiency target has long been a lost cause to many. These facts are all welcome fodder for the debate over a 2030 climate and energy policy that kicked off in Brussels in March and is due to continue this autumn with an expected policy package from the Commission. And just as back in 2007, there is an R&D dimension to this debate that has started emerging. In May, the Commission released its first thoughts on a new “energy technology and innovation strategy to 2020 and beyond”. This goes hand in hand with agreement on new pot of R&D money for 2014-20 – Horizon 2020 – as part of the next EU budget for this period. What does the Commission propose? It wants to focus much more on the energy system as a whole – including consolidating the individual technology roadmaps from the SET Plan – and it wants to extend support to the entire innovation value chain, from basic research to market roll-out. It also wants to better coordinate R&D goals and investments among and between member states and the EU. The vehicle for this new vision will be an “Integrated Roadmap”, to be drawn up by the Commission and industry representatives by the end of this year (although several sources already suggest delivery in February-March 2014 instead). Member states and the Commission should follow up with an action plan that is also an investment plan by summer 2014. The roadmap is the Commission’s new flagship energy R&D initiative. Its goal is to prioritise the development of “innovative solutions” for the European energy system to “2020, 2030 and beyond”. The key word is “solutions”, i.e. energy services; the 2007 SET Plan prioritised “technologies”. From now on it’s about delivering “light”, “heat” and “clean transport”, not “wind”, “solar”, and “biofuels”. Draft preparatory documents suggest that energy efficiency will get pride of place in the new roadmap with its own, dedicated coordination group. 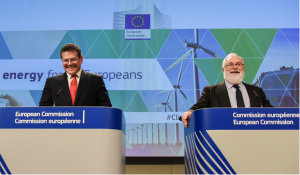 Second, the Commission wants to focus on innovations that build flexibility and security of the energy system– demand response, energy storage and grid connections, for example. Third, it wants to further develop a portfolio of “cost-effective and sustainable” energy options; here are many of the SET plan’s familiar faces, including renewables, CCS, nuclear and bio-energy. But the Commission also names other “promising” avenues, including floating wind turbines, ocean energy and new photovoltaic (PV) applications. It says more research is needed into heating and cooling, hydrogen and fuel cells, new materials and enabling technologies (e.g. nanotech), nuclear (especially long-term waste disposal), alternative fuels (e.g. electric cars) and smart cities. “Market uptake measures are needed in the roll-out of all innovative energy technologies”, the Commission concludes. It envisages tackling non-technological barriers to renewables and efficiency deployment by promoting capacity building (of policymakers and technicians) and innovative financing solutions (e.g. loans through the European Investment Bank). “The SET plan remains the core instrument to deliver,” the Commission says in its May paper. The roadmap is supposed to “reinforce” it, not replace it. This is useful clarification. Stakeholder reaction to the May paper has generally been positive – anything to give the energy R&D agenda a fresh boost – yet sometimes laced with wariness over what the new approach means for support for individual technologies. “While recognising the need to tackle energy challenges in a systemic manner, we believe that the new integrated roadmap should mainly focus on a smart combination of already existing initiatives and cooperation,” says Paolo Basso, Policy Officer at the European Photovoltaic Industry Association (EPIA). “It is essential to continue prioritising also individual technology and innovation,” agreed the European Wind Energy Association (EWEA) in a reaction in May. This is because there is “huge potential” for further cost reductions in both on- and offshore wind, it says. May’s policy paper “undervalues” the SET plan which “is a well-crafted plan and remains just as relevant today as it was in 2007”, adds Euracoal’s Secretary General Brian Ricketts. Euracoal, representing the European coal sector, has a strong interest in CCS. Meanwhile Eurelectric, the association of European electricity companies, applauds the Commission’s more system-oriented approach: “The commission should leave behind the traditional approach of funding R&D in isolated technology ‘silos’,” it said in a position paper in July. There is not so much a contradiction between Eurelectric and the others as a different starting point: “You can start with individual technologies and work for their better integration or start with the system and see how individual technologies relate to it,” explains Basso. The European PV community for example, has prepared its own R&D plan for 2013-15 that includes electricity system integration as one of three pillars. The renewables sector is lobbying for a new renewables target for 2030 and the technological investment to back it up: “What we all want is an affordable, sustainable, secure energy system. It is important that this is addressed from a target point of view and on the other hand having a technology leg,” says Basso. Eurelectric on the other hand, is proposing no new renewables target – or feed-in tariffs – beyond 2020, but relying instead on the EU Emission Trading Scheme (ETS) to transform the energy system, with targeted R&D support where needed. One of the main reasons for the new approach, say many, is a desire to do more for grids. The May policy paper shows that public and private R&D investment in grids was less than for all other of the SET plan’s original six priorities in 2010. A second concern for Euracoal is that the new approach might be “overstretching” itself with its focus on market deployment: an immature technology like CCS urgently needs demonstration, not deployment support, Ricketts says. Moreover, deployment has traditionally been part of climate and energy policy (think feed-in tariffs). “The communication seems to present a mixture of pronouncements on both technology/innovation policy and energy/climate policy. The boundary between the two is not altogether clear,” he says. For others, this crossover into deployment makes sense. In Eurelectric’s vision, only immature technologies deserve public support and should get it in the form of R&D, not operational, aid. In other words, money to innovate, not feed-in tariffs. All stakeholders believe implementation – with adequate funds – must be the priority. If the SET plan is the strategy, Horizon 2020 is the means to implement it. This is the EU’s €70bn R&D budget for 2014-20. It dedicates no funds to the SET plan as such. But there is a big increase in funds available for non-nuclear energy R&D: €5bn (vs. €3bn in FP7 for 2007-13) and 85% of it earmarked for renewables and efficiency. More money for energy R&D is also expected from other parts of the new EU budget, such as regional development funds: these will be required to put more emphasis on innovation and low-carbon investment in future. A greater share of R&D money is likely to go to demonstration projects than in the past, believes Greg Arrowsmith from the European Renewable Energy Research Centres Agency (EUREC). He welcomes the proposed use of “technology readiness levels” in the Horizon 2020 draft work programme for energy for 2014-15. There are ten levels, from most speculative to most mature and people requesting funding will have to classify their technologies on this scale. Arrowsmith also urges differentiated support of this kind in the EU’s guidance on national state aid for energy technologies, which is currently under review. 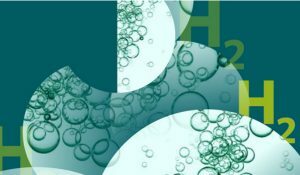 What remains unclear for Horizon 2020 is how the Commission will make (more mature) energy technologies compete with one another for funding. It will need to devise some kind of rating system, perhaps based on percentage cost reduction per Euro spent, Arrowsmith suggests. 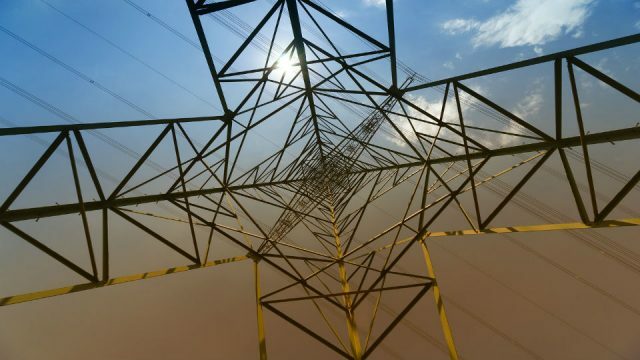 A second uncertainty is over how the new energy innovation roadmap could still affect the first call for projects under Horizon 2020, which is already expected in early 2014. But strategy and funds do seem to be lining up for a new EU push for energy innovation. How the new roadmap will work with the SET Plan is not yet exactly clear, but that is the task of policymakers, industry representatives and member states to work out in the months ahead. What is clear is that the EU is taking a new, more system-oriented approach to energy R&D with less focus on individual technologies and that it is pushing its innovation policy into the realm of market deployment. If we are debating future renewables support, will this be innovation or climate and energy policy? The boundaries are blurring and the technology arm of the 2030 debate is more important than ever. The EU, member states and industry would invest €14bn in four “green” R&D public-private partnerships under legislative proposals unveiled by the European Commission on 10 July. MEPs and member states still need to agree them, but the “Joint Technology Initiatives” would start in 2014 for: bio-based industries (€3.8bn), greener aircraft (€4bn), more efficient electronics (€4.8bn), and fuel cells and hydrogen (€1.4bn). All but the bio-based programme prolong existing initiatives under FP7 and all but the bio-based one would run for a decade (it would end in 2020). These PPPs are another way of implementing Horizon 2020. They are not formally part of the SET plan, although there is clearly overlap in terms of both activity and funding (both will seek funds from the €5bn non-nuclear energy R&D budget, for example). In addition, the Commission is looking to strengthen industrial engagement in Horizon 2020 through yet another kind of partnership: “Memoranda of Understanding” for green cars, energy efficient buildings, “factories of the future” and sustainable process industries. Again, the first three already exist under FP7 but sustainable process industries (SPIRE) is new. It would be dedicated to efficiency innovations in sectors such as steel and chemicals. Funny how many flying pigs go past the office window these days – ooops there goes another one. Look at the political effort needed just for a marginal bit of backloading. How to get the price of EUAs to –say Euro30? Without the Poles going bananas? (white rabbit in a had with a watch just went past the window). A systems approach: well that would involve energy companies and DNOs (& TSOs) often the same thing in, for example, Germany. Oh look, they are lobbying Auntie Merkel (or Cam-moron for that matter) to reduce renewable support. Yes I can see how that is going to work well. By the way, editing error: para 3: you mean Euro1/kW wrt PV, not Euro1/kWhr. The LCOE for PV in, for example Germany is around 15eurocent/kWhr. EU should look to my new infinite energy development. My invention “Engine powered by static pressure” is giving world really green, sustainable and affordable energy from the source undervalued – deep water pressure as natural storage of energy. Infinite with limitations – breakdown of device, or Planet collapse. Any type of static pressure source can be used (compressed air, springs, gravitational weight, steam, etc…) by this device. The same technology can be used by transportation allowing pollution elimination.